Colombia’s government has asked Cuba to arrest “Gabino” on Tuesday on unconfirmed claims the ELN‘s top commander is in the country, according to the foreign ministry. Cuba is the temporary host of peace talks between the country’s last-standing guerrilla group and the Colombian government that suspended negotiations when President Ivan Duque took office in August. Based on claims made by the Colombian military in October, President Ivan Duque said Sunday that Gabino was in Cuba, where guerrilla negotiators have been waiting for talks to resume for months. According to the anonymous military sources, the ELN’s top commander traveled to Cuba to undergo medical treatment in October. The foreign ministry said Tuesday that it verbally requested Cuba to extradite the ELN on November 6. 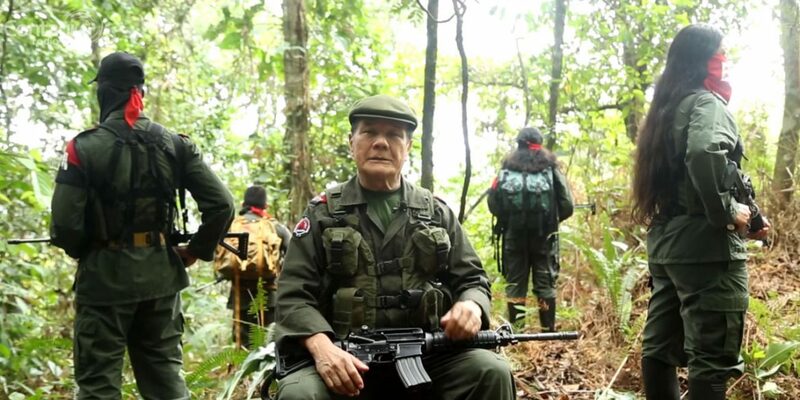 Peace Commissioner Miguel Ceballos confirmed late Tuesday that he had been notified by the ELN, but said on Twitter that President Ivan Duque never accepted the ELN leader to be their chief negotiator. Miguel Ceballos, Alto @ComisionadoPaz Aseveró que el presidente ha sido claro y la condición para que los diálogos continúen es que “se acabe el secuestro, liberen a todos los secuestrados y que cesen todas las acciones violentas”. After taking office in October, Duque imposed new conditions on peace talks with the guerrillas who until then were negotiating a bilateral ceasefire with former President Juan Manuel Santos. The group has been at war with the Colombian state since 1964 and has control over significant parts of Colombia;s countryside. According to pollster Invamer, a growing majority of Colombians supports the peace talks with the ELN. Community organizations and the Catholic Church have also urged Duque to continue talks. But the president, whose political allies and economic backers are neck deep in war crime allegations, has consistently refused to talk and has openly opposed an ongoing peace process with the FARC that is monitored by the United Nations..